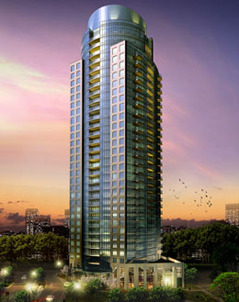 Visit www.mississauga-condos.com for up-to-the-minute Mississauga condo and loft information! Here we'll focus on the advantages and disadvantages of buying new mississauga condos versus buying resale mississauga condos. One of the primary advantages of buying new mississauga condos is the ability to decorate your condo from the beginning exactly the way you want. You can pick all the colours, which range from paint, to cabinets, to hardwood/carpet. You can also customize the tile and cabinetry selection for the kitchen and bathrooms. Often times, new mississauga condos will have more modern amenities, better finishes, and can be more energy efficient, thus reducing your monthly mantainance fees! Unfortunately, with a new mississauga condo purchase you should be prepared for the on-going construction you will find around you. There is a possibility that the builder has under-budgeted for time to complete the project, consequently pushing back your occupancy date. In essence the purchaser is at the mercy of the builder, and their schedule. In some cases, projects may experience up to a one year delay. In this event, the purchaser of the new mississauga condo may have to find alternative housing arrangements until they receive their keys, possibly forcing them to find mississauga condos for rent, or move in with family in the interim. There are additional expenses associated with new mississauga condo purchases that you will not typically find in resale mississauga condos. For example, you may have to pay for interim-occupancy. The time between when the purchaser receives the keys to their new unit, and when the condominium is registered as a condominium corporation is know as interim occupancy. When a purchaser goes into interim occupancy, the developer is entitled to charge a monthly fee, sometimes inaccurately called "rent". In the Act it is called the "occupancy fee". Unfortunately during this period, the purchaser's payments are not going towards their mortgage, but rather are being paid to the developer. Essentially it is similar to renting the unit you bought from the developer until the day that title to the unit is transfered from the developer to the new mississauga condo purchaser. Closing costs are typically higher for new mississauga condos. The purchaser will pay for such additional costs as the New Home Warranty Program, tree planting, utility hook ups and municipal improvement fees. Usually, when you buy new mississauga condominiums, you don't have an opportunity to see the actual layout. All that is provided is a floorplan, and in many cases the end product may be feel far different from the floor plans the purchaser read. 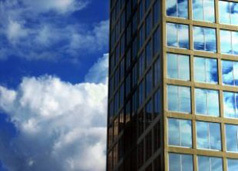 A small percentage of condos in the marketplace are not considered to be in move-in condition. If both live-in partners happen to be working at full time jobs, a move-in condition home is by far the best alternative. If the property is being under "power of sale" or the property has been rented for many years the condo may require a lot of work. If the purchaser is not handy or does not have the additional up front capital then the purchaser would be better off buying a mississauga condo in move-in condition, or a pre-construction condo. Additionally, as condominiums age, various mantainance needs to be attended including: updating the amenities, painting the hallways, elevator mantainance, and window replacement. Sometimes special assessments may be levied on a per unit basis, and this cost can vary, sometimes more than $10,000 at a time. Also, older condominium units may have dated bathrooms, and kitchens which require updating. This being said, a condo that needs some updating can in fact present some advantage to a purchaser. Namely, it can be purchased below the going market price, while at the same time providing an opportunity to have it decorated to suite ones specific taste.